ADATA Technology launches the SD600 external SSD with high-quality 3D TLC NAND, a sporty and speedy storage expansion for people on the move. The ADATA SD600 is offered in 256GB and 512GB variants. The SD600 features speeds of 440MB/s read and 430MB/s write and it weighs 90g only for convenient portability. The SD600 is driver-free with support of Windows PC, Xbox One, PS4, and Android. 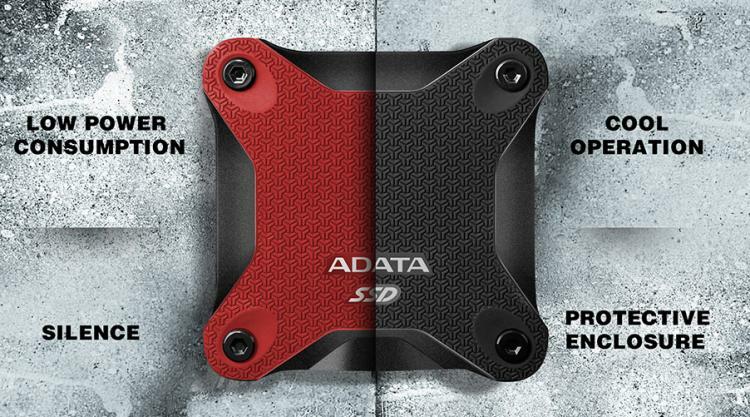 The ADATA SD600 is available in red-black and all-black colour schemes and the shell is made with impact-resistant materials for improved durability. The ADATA SD600 delivers 440MB/s read and 430MB/s write while sporting an athletic look. It offers performance four times faster than hard drives, the ADATA SD600 quickens load times and results in smoother-performing games and applications whenever quick asset streaming is essential. The ADATA SD600 packs 3D TLC NAND Flash which offers increased density, reliability, and longevity compared to older 2D/planar memory. The ADATA SD600 arrives in 256GB and 512GB capacity configurations. Thanks to the integration of performance-sustaining DRAM cache and SLC cache, the SD600 does not slow down or throttle when faced with heavy operational loads or large files. SLC cache is of particular interest, allowing a portion of the drive capacity to operate in pSLC mode (pseudo single-level cell), which is very useful for handling high priority operations. Weighing at only 90g, the ADATA SD600 external SSD is just a fraction of typical mechanical drives. It can easily fit pockets to backpacks. Connecting to devices via USB 3.1, the SD600 is fully driver-free compatible with Windows desktops and laptops, Xbox One, PS4, and Android. It is made of impact-resistant materials to add a layer of protection in case of drops, falls, or bumps experienced in active lifestyles. 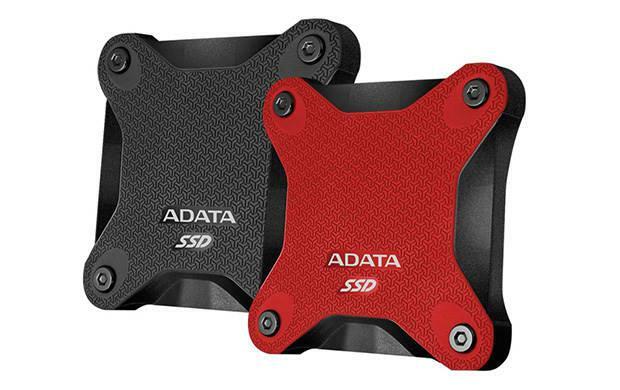 The ADATA SD600 External 3D NAND is now available with the 256GB variant at $109.99 and the 512GB variant at $199.99.